The aromatic harmony of the grenache and syrah grapes combined with the volcanic soil gives Lava & Magma a perfect balance of summer berries against a soft palate of minerality. 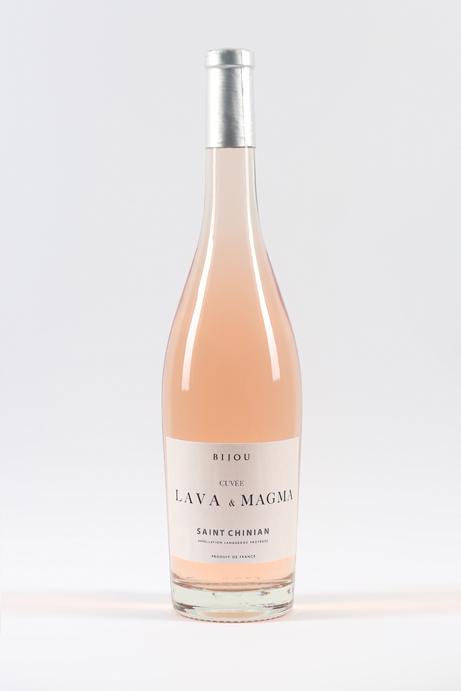 Cuvée Lava & Magma takes its name from the amazing volcanic soil in and around the region where we source our grapes. The Mediterranean climate with its intermittent rainfall requires deep rooted vines. The environment of the soil is rich in basalt, silica and tuffa stone. The slate and limestone surface provides good quality drainage. The hilly landscape is interspersed with well tended, modern vineyards and ancient bush vines in arid garrigue. The Grenache and Syrah grapes are harvested early in the morning to retain maximum freshness. These are quickly de-stemmed and direct pressed for gentle colour extraction. Lava & Magma then undergoes a cool fermentation which lasts just under three weeks. Each variety is vinified separately and the final blending process is where art and science meet to create a wine with expressive summer fruit flavours and refreshing acidity.